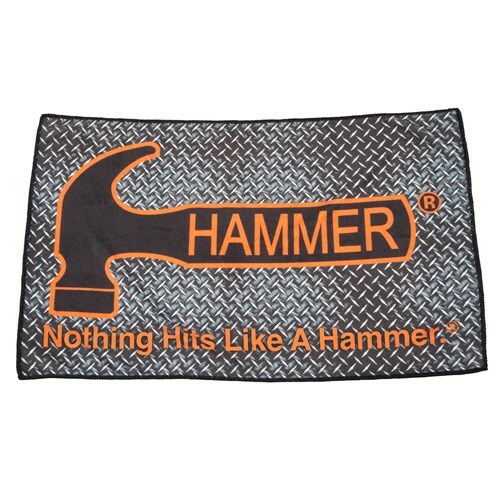 Hammer has created a great Microfiber Towel to clean oil off your bowling balls. The towel has a Hammer Logo on top of the signature diamond plate design. The towel is 16" x 26". Microfiber towels will absorb sweat and oil really well for a longer period of time, more so than a cotton towel or oil free towels. Due to the time it takes to produce the Hammer Dye-Subliminated Microfiber Towel ball it will ship in immediately. We cannot ship this ball outside the United States.